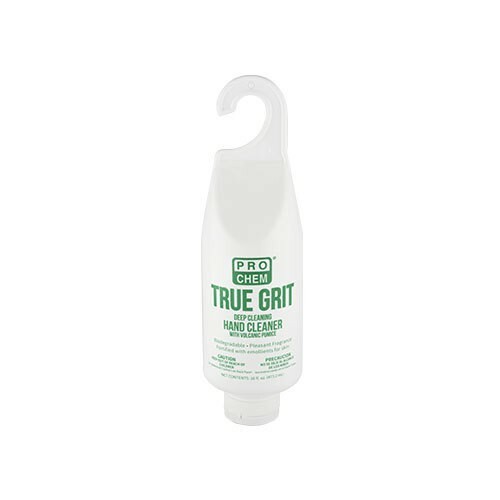 True Grit | Pro Chem, Inc.
A small amount of TRUE GRIT will remove grease, dirt, paint, ink and many other soils. This product contains skin conditioners that protect hands from drying, cracking and chapping. A combination of high quality skin cleansers and mild abrasive pumice helps loosen and lift embedded soils. Available in 3 lb self-dispensing cans and convenient 16 oz tubes. 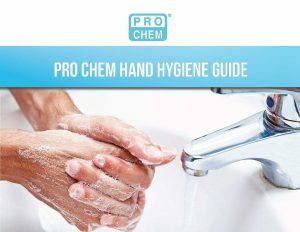 Dispense sufficient quantity into palm of hand and apply to soiled skin areas, rubbing until product liquefies and all soil is loosened and dissolved. Work well into crevices in knuckles and fingernails. Wipe cleaned skin areas with a towel or rinse with water and dry, if desired. Repeat, if necessary, for extremely stubborn soils.